Banaz Mahmod was murdered by her own family, in an honour killing. 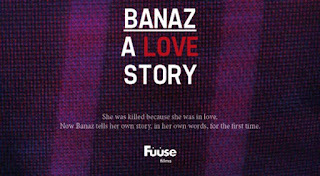 This film tells Banaz’s story, in her own words, for the first time – and tells the story of the extraordinary police team who refused to give up, and finally brought her killers to justice. Emmy Award 2013 – Best International Current Affairs Film. 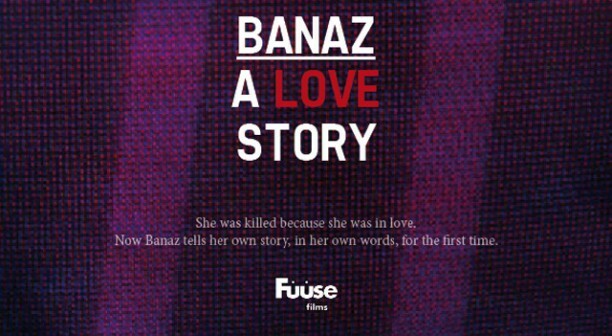 This is a documentary film chronicling an act of overwhelming horror – the honour killing of Banaz Mahmod, a young British woman in suburban London in 2006, killed and “disappeared” by her own family, with the agreement and help of a large section of the Kurdish community, because she tried to choose a life for herself. Of Bekhal, a young woman of incredible spirit and bravery, whose love for her murdered sister gave her the strength to testify against her own family and community – bringing justice to Banaz but consigning her to a life forever lived in hiding. And Deeyah, international music producer and activist turned filmmaker, who has herself been subject to honour related abuse and threat. It was Deeyah’s love for the story, for Banaz, for Bekhal and for Caroline, and for raising awareness for the issue of honour killing, which has driven her to spend four years making this harrowing and deeply emotional film, running out of funding long ago, but forming an intimate bond with all the key players, which plays out on screen in scenes of astonishingly confessional testimony. 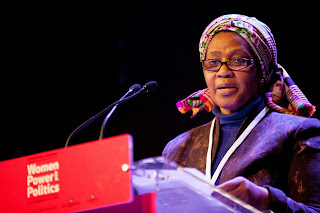 In the making of this film, Deeyah has worked with a wide range of experts, activists and NGOs specialising in the field of honour-based violence, some of whom have been interviewed for the film. This collaborative process has led to a shared recognition of the urgent need for online educational resources and campaigning networks dedicated to this vital issue. Involve your audience, "read" the room, and harness the power of your unique voice to get your message across By Bill Hoogterp, founder and creator of Own the Room® public speaking and communication training system. Women are powerful speakers because of their innate emotional intelligence and natural ability to connect with their audience, but their voices are often muffled by doubt, deferring, and delay. Learn how to be heard--to project, connect, interrupt and bring more of your contribution to every meeting, panel or conference--whether you are the speaker or a participant. Attached is a 10-minute short film on femicide- the intentional killing of women and girls in Honduras. The recent killing of Miss Honduras, Maria Jose Alvaro has sparked national outrage over her murder even though femicide has been a long-standing issue in Latin America with Honduras placing seventh on the world map. Slavery has occurred in many forms throughout the world, but the Atlantic slave trade -- which forcibly brought more than 10 million Africans to the Americas -- stands out for both its global scale and its lasting legacy. Anthony Hazard discusses the historical, economic and personal impact of this massive historical injustice. Internationales Frauenfilmfestival Dortmund | Köln: A Discussion on women in the film business and how networks support their activities on the occasion of the 65th Berlin International Film Festival. Based on case studies, the film 'Making Waves: Expressions of Gender Equality in the Sacred Texts and Islamic Tradition' explores women and men as scholars and activists promoting interpretations of the Qur'an and Hadiths that empower women and promote justice, equality and dignity. Today we celebrate the International Day of the Girl, a day designated by United Nations General Assembly as a way of recognizing conditions facing girls around the world, in order to empower and educate communities about the importance of investing in girls. In developing societies, girls have less access to education, clean water, food, security and face major health risks. They are less valued and prioritized by their own families and communities. It is a patriarchal system that leaves girls subjugated and far more susceptible to violence. The mentality from this system reverberates in different parts of the world, as some of the cultural practices are reiterated in fully developed societies. In the western world, there is a growing epidemic of honor violence. Honor violence is often carried out as way of restoring honor, when an individual brings shame upon the family or community. It is primarily gender-biased, a vengeful act sought out when a woman or girl is perceived as unchaste and disobedient. This sort of violence has to stop! This International Day of the Girl, we ask you to think about ways you can help. In honor of this day and the growing epidemic of honor violence, check out feature article , “Honor Construed”. All girls deserve a chance to have a future! More than 2,000 women gathered on the front lawns of the Union Buildings for National Women’s Day. Studio10: More than 3 million people have watched an online video called 'Fat Girl Dancing'. It's not a nasty viral attack... but a celebration and it's changed the life of the woman who stars in it. Emily speaks with Katie Couric on the Katie Show about cyber and sexual bullying. 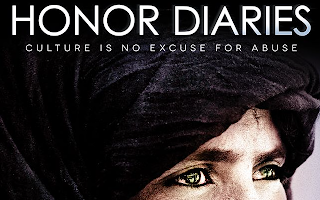 Testimonials of some of the key leaders and students in attendance, as well as Audience Q&A, following the screening of Honor Diaries at the Showplace ICON Movie Theatre, Chicago, on April 28, 2014. One of the biggest issues facing families today is domestic violence. Whether it be against the wife, husband or children - we can all play a part in bringing an end to this. The family is the backbone of the society and if we want to keep it firm, we must learn to love, respect and protect one another. Allah (God) teaches us in the Quran that "The example of those who take allies other than Allah is like that of the spider who takes a home. And indeed, the weakest of homes is the home of the spider, if they only knew.(29:41). If we look further into this example we will notice that the spiders home is not weak merely because of the web but also due to the habitual structure of many different types of spider families, which are filled with murder and abuse. A feeble home is indeed one which is filled with much violence. Such are the intriguing parables God sets forth in the Quran to teach those who ponder. For the first time on film, an international group of women’s rights champions break the silence on honor violence. 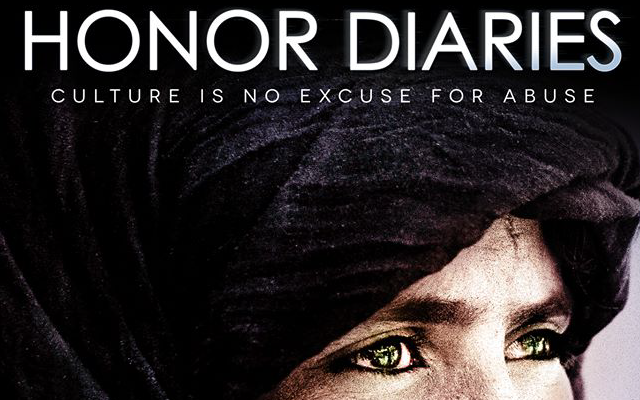 More than a movie, Honor Diaries is a movement meant to inspire viewers to break down the barrier of political correctness and speak the truth: that culture is no excuse for abuse. 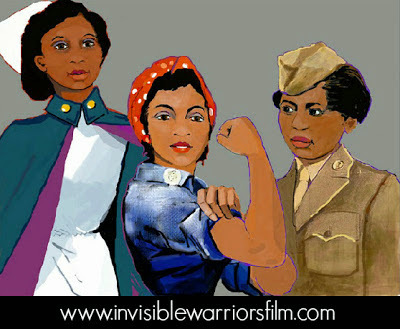 It is a Women For Action TV project proposing to rally male leaders in and around Chicago, to stand behind one single issue- gender equality. Chicago business and community leaders are being asked to make a comment, much like in the footage shown here. This video is a proposal for a production in honor of UN Women's HeForShe campaign, a project that is expected to be released at the Chicago Chapter United States National Committee UN Women launch party. "I'm just trying to make you more perfect." - Mom From infancy, an Asian American woman learns the game of perfection - but if your goal is perfection, will the game ever end?